Just like us, our dogs can get tangles in their hair and of course, we like their coats to be nice and glossy – snuggle-time is more luxurious with a silky pet! Although, not every dog will benefit from conditioning after washing. Conditioning is very beneficial if your dog has long hair, as it can help make grooming a lot easier. Longer fur can become knotted very easily and needs regular brushing, so adding a conditioner to the bathtime routine can help reduce the effort needed to brush out tangled fur during grooming. This technique can also be helpful for dogs that tend to shed more than others since a lot of the excess fur can be caught while combing the conditioner through. Why should I condition my dogs coat? In general, conditioner will help make fur more manageable – especially for silky and double coated fur types, but not so much for wire-haired pups. After carrying out the usual washing techniques, apply the conditioner all over the coat. To really help deep condition, use a comb to spread the product through all the layers of fur. A comb will remove loose hairs as gently as possible – this could help save your bath plug from blocking up and your carpets from getting coated in dog hair! 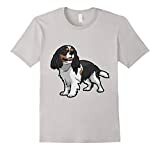 There are also conditioners for dogs which are made to be left in; these are usually in spray form and can be easily spritzed over your dog’s coat before brushing or combing your dog. It’s not just conditioner that can help to improve the quality of a dog’s coat, there are other factors which can affect it too. One of the biggest things that can have an impact on the health of your dog’s coat is actually their diet. Certain foods are great for helping to maintain not just a healthy dog, but healthy fur too! Cheaper dog foods may not have the necessary nutrients that Fido needs to stay healthy all over and some have added ingredients which could be doing more harm than good. The fresher you can keep your dog’s food, the better! Essential fatty acids (the Omegas) can oxidize when food is open to the air for too long. Omega-6 in dog food is possibly one of the most common deficiencies, leading to a dry, dull coat. Omega-3 is another fatty acid which can be helpful in a dog’s diet which can be added using flaxseed oil and fish oil supplements. DO NOT overdo this, however, as it can lead to upset stomachs, which we don’t want for our besties. Grains can disagree with some dogs and can even cause skin problems. If you stick to a regular routine when it comes to grooming your pet pooch, then their coat will really benefit – just like us humans have our own regular grooming routines to stay looking great! Different breeds will need different routines, which can vary from needing a bath every week, to only needing a wash every few months. Your dog’s coat can suffer if they are experiencing any sort of skin complaints. Always consult your vet if there is any sign of skin irritation or a skin condition. Dry skin can lead to doggy dandruff and any sort of irritation could lead to a dog scratching so frequently, their coat becomes patchy. Neither of which is a good look or feel for your pooch! This natural formula from Earthbath is scented with vanilla and almond to help keep your pooch’s coat smelling as good as it looks. Vanilla and almond don’t just smell great, they actually help to detangle and revive dog hair, while the blend of oatmeal and aloe naturally soothe the skin as well as helping fur to shine. Aloe vera extract is great for healing dry and cracked skin, so this conditioner could be the perfect way to moisturize your dog – great for dry winters and hot summers. 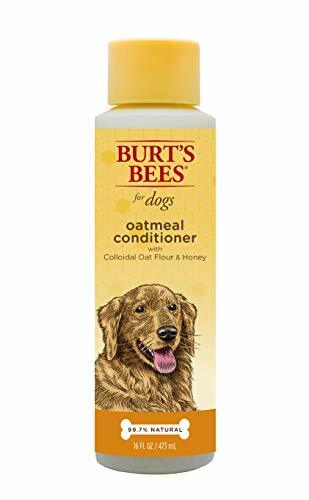 This oatmeal-based conditioner is actually compatible with flea treatments, so will not change the effectiveness of any ointments or other treatments your dog may need to combat those pesky little biters! With a whole host of natural ingredients and no nasty additions to be found, you can condition your bestie with no worries. However, the product does come with this description “A small percent may be allergic”, so if your pup has had issues with sensitivity in the past, be aware of this. Suited for use on fine, silky or tangly dog hair, this conditioner should help almost any pooch to look as swish as possible! If you like your pet to smell as sweet as they look, then this jasmine and vanilla scented conditioner could be the one for you. Isle of Dogs has created a smoothing formula with ‘leaf juice’ and proteins helping to nourish your dog’s coat from root to tip. This conditioner is designed to work best alongside Everyday Isle of Dogs Silky Coating Shampoo, so this could be a great bundle buy for the best bathtime results. There is an ingredient listed on the bottle pertaining to a caramel fragrance, which may not be naturally derived, however, this product is meant to help neutralize doggy odors using an ExtenScent™ formula. Other ingredients are long-winded and could be a little vague – Googling may be necessary. Applying conditioner could not be easier than in this handy-dandy spritzing bottle from Cloud Star. Formulated to be used as a leave-in conditioner, there is no need to rinse this product out after application – saving time and energy (some dogs just want to be out of that bath ASAP)! 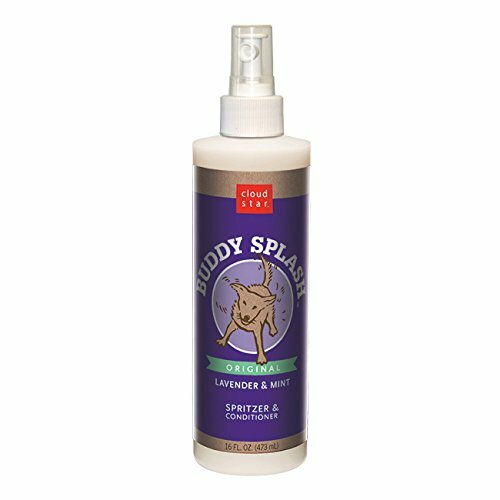 This is a great product for dogs that just need a quick freshen up throughout the week as it can be used in between baths on wet or dry coats. With a bunch of natural ingredients, this conditioner should suit lots of doggies and help to deodorize them as they go about their daily business. Cloud Star Spritzer conditioner contains vitamin C to help hair growth and vitamin B5 to strengthen the coat as well as aloe vera juice, wheat proteins, lavender extract and essence of mint. If your dog doesn’t mind sharing with you, this product claims to be perfectly safe for use on your own hair too! As with the Earthbath conditioner, this John Paul conditioning rinse also uses the natural properties of oatmeal to soothe dry skin and help keep hair shiny and smooth. If Fido is prone to getting in a tangly state, this conditioner should help to make grooming easier, detangling and increasing the manageability of your dog’s hair. Chamomile and oatmeal are 2 of the 5 conditioning agents used in this product and Vitamin E helps to protect and revitalize skin and fur. John Paul Pet considers the anti-inflammatory and anti-anxiety properties of botanicals to help dogs deal with any strain or stress on their bodies – making for an even longer lasting conditioning rinse (in more ways than one). On the bottle, it says “Tested on Humans First” which means there has been no harmful testing on animals before this product came about (and you can use this too if you really wanted to, however, the pH levels are suited to a dogs skin rather than a human). A gentle almond scent is sure to keep your dog happy at bathtime, with no overpowering smells to agitate their sensitive nose. You might be used to using Burt’s Bees products during your own cleaning routine, but they have created a range just for man’s best friend. This conditioner is another to use oatmeal in its formula, keeping the ingredients as natural as possible. Additional ingredients include honey for shine, beeswax, avocado oil and green tea extract – all natural and super-friendly to your pet. With little to no scent, this isn’t going to be harsh on pup’s nose and is completely suited for use on puppies as well as adult dogs. Due to the thinner consistency of this conditioner, you may find that a little goes a longer way than you might think! This is a relatively well-priced product too, so could be a great choice for savvy shoppers looking to save some dollars. As this conditioner only comes in a 10 oz container, it might not be the best choice if you have really large dogs. 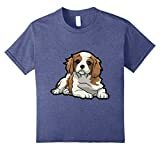 Although certain conditioners will suit different dogs more than others, the best all-rounder seems to be John Paul Pet Oatmeal Conditioning Rinse, although it was a very close call. We also loved the Cloud Star Spritzer Conditioner for the ease of application and the fact there is no need to rinse – saving time and a lot of effort for some! [John Paul Pet has created a great natural product which not only smooths the look of your pet’s coat, but helps to ease skin complaints too. The pH balanced formula has been specially developed for dogs and even their well-being has been thought about, with the use of botanical ingredients to help with any stress your dog may be going through (just because you see them lazing about all day, doesn’t mean they can’t get anxious). As we have mentioned before, if your dog has any major skin complaints which could be affecting the quality of their fur, then seek advice from your vet before trying new products.